There many outdoor sports available in Valnerina, the Valley of Nera River that crosses Umbria from Sibillini Mountains to Terni. 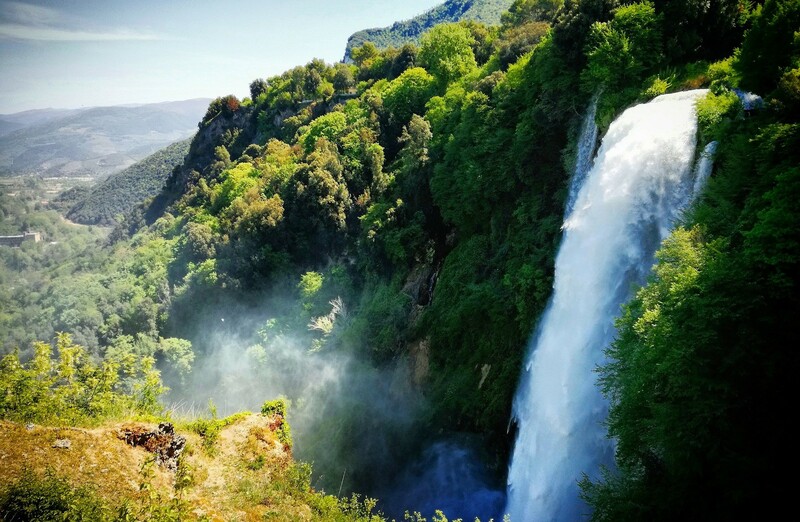 The symbolic place of this event is the famous Marmore Falls and in this wonderful landscape you will have a pleasant unforgettable week enjoying yourself with outdoor sports inside beautiful nature. This travel package is perfect for families because it includes the staying in a comfortable agriturisme in an apartment with small kitchen or in hotel 2* or 3*, a rafting descent adapt for children and adults, a guided tour of Marmore Falls Park and a relaxing boat tour of Piediluco Lake. Don't loose this occasion, come in Umbria for your holiday! The cost of this travel package is for 1 people and is thought for a family of 4 people with children with ages from 6 and 14 years. It could be different for different ages of children, for the accomodations choosen, for additional activities. Transportations, meals don't mentioned, tips, personal extras and everything doesn't mentioned in the field "the rate includes".